The Eden Energy Medicine Blog: What Does Energy Have to Do with Energy Psychology? 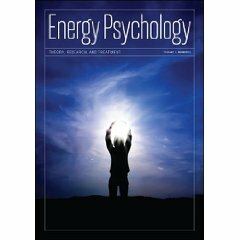 An obstacle to professional acceptance of the growing body of research supporting the efficacy of energy psychology is the vague use of the term “energy” in the field’s name and explanatory models. This paper explores whether the concept of “energy” is useful in accounting for the observed clinical outcomes that follow “energy psychology” treatments. Several anomalies within energy psychology that confound conventional clinical models are considered. The most vexing of these is that a growing number of anecdotal accounts suggest that one person can self-apply an energy psychology protocol, with the intention of helping another person who is in a distant location, leading to the other person reporting unanticipated benefits more frequently than chance would seem to explain. The possible roles of “energy” and macrosystem quantum effects in these anomalies are examined. A working model is proposed that attempts to explain the actions of energy psychology treatments in a manner that is consistent with established scientific knowledge while accounting for the anomalies. Three premises about the role of energy are delineated in this working model, and potential strengths of the model for practitioners and researchers are discussed.